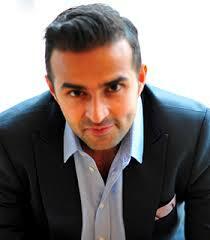 31-year-old Ashish Thakkar is the Founder and Managing Director of the Mara Group of companies. Mara Group is an African multi-sector business conglomerate of information and communication technology, real estate and hospitality, manufacturing and services with 15 years of extensive national and international markets experience. Mara group has operations across 18 African countries. Ashish was born in the United Kingdom to Indian-origin parents who’d migrated from Uganda. In 1993, the family moved to Rwanada to run a business but they ended up hiding in a hotel due to genocide of the Tutsis by the Hutus. They somehow managed to escape from the country and relocate to Uganda. The family had to go through the toughest time as they were left with little money and had to start life from scratch. His father started a business by taking an $11,000 loan. Ashish quit his school at the age of 15 and started his humble journey by venturing on his first business – selling computer hardware brought from Dubai in Uganda. In less than a year, he became a major supplier of computer hardware to the African continent by setting up a shop in Dubai. Over the years, his small hardware supply operation became one of the biggest IT companies in Africa with 7,000 employees across 26 countries and more than $100 million in annual revenue. Today, the Mara Group has been recognized as one of the dynamic high-growth companies with the bright prospective to become a powerful force for economic as well as social change by the World Economic Forum in 2010. Besides, Ashish J. Thakkar has been honored and appointed as a World Economic Forum Global Young Leader. His personal net worth is around $260 million that makes him a billionaire by South African Rand values.